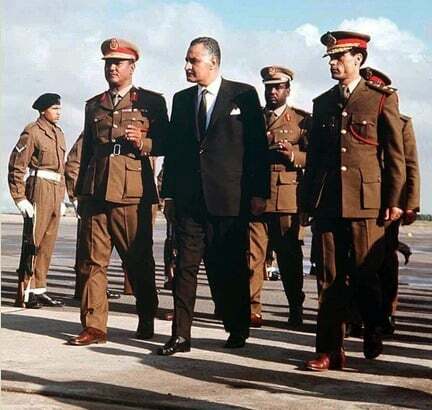 In 1969, Colonel Gaafar Muhammad Nimeiry (seen right), who three years earlier had graduated from the United States Army Command College in Fort Leavenworth, overthrew the government of newly-independent Sudan and became prime minister. 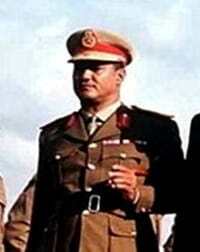 Once in office, Nimeiry made full use of his powers, nationalizing banks and industries and brutally eliminating his enemies; he ordered an aerial bombardment in 1970 which killed several thousand opponents. The following year, he was elected President. In 1972 Nimeiry signed an agreement granting autonomy to the non-Muslim southern region of Sudan, ushering in a period of relative stability to the region. He drafted a new constitution which insured his authority and sought ways to exploit the vast resources of the country, instigating initiatives to develop agriculture and industry, returning banks to private ownership and encouraging foreign investment. He was not able, however, to contain domestic opposition, and Sudan was rocked by several coup attempts. In 1981 Nimeiry instituted Islamic governance and law, and a second civil war ensued. Four years later, Sudan was laboring under a foreign debt of nine billion dollars, an influx of refugees from neighboring countries and a devastating drought. Nimeiri authorized the execution of a peaceful political dissident and liberal theologian for sedition, a move that united the opposition and led to his own fall from power. On April 6, 1985, while Nimeiry was on an official visit to the U.S. to meet with President Reagan, he was overthrown by his own defense minister. William Pierce started his tour of duty as political officer at the U.S. embassy in Khartoum in 1983. In this excerpt from his January 2001 interview with Charles Stuart Kennedy, he describes the ousting of Sudan’s long-serving autocrat. Please follow the links to learn more about Sudan, African strongmen, Hume Horan and the impact of colonialism. In the summer of 1983, Nimeiry… had over the years slowly corrupted the system which started out in a so-called semi-democratic mode, so he became the autocrat in charge of government. He had been in a position to co-opt and to divide, to segregate, sometimes arrest and fire, people who earlier on were seen as his equals. He behaved as a primus inter pares [first among equals], to the effect that he alone made decisions. He made some very bad ones. (Photo at left is of Nimeiry, Egyptian President Gamal Abdel Nassar and Libyan Prime Minister Muammar Qaddafi). Basically his actions had alienated the south, starting a few years earlier. It had always seemed to have been in his mind ultimately to utilize resources from the south for the good of the north, which is basically the Arab north versus the black [African] south. He had begun to take these steps. Shortly after I got there, he [Nimiery] began his long and somewhat twisted enamorment with Islam. He began a series of steps making Sudan an Islamic state, the effect of which is still quite visible today. The country was economically a basket case and there was no positive forecast when I got there…Whenever you think of Sudan today, as well as then, it’s grinding poverty, natural disasters, political disasters, [and] military disasters always besetting the country. 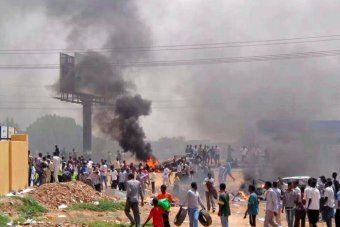 When you would think that Sudan couldn’t get any worse, it did…. We [the U.S.] had a very close, strong relationship with the Nimeiry government. The official approach that the embassy had adopted was that Sudan, being so large, so mammoth, was key to stability across a significant portion of Africa. Looking at every country that Sudan touches, you take in a large part of the land area of Africa. Consequently, were it to turn unstable, it could be seen as a source of ready instability that could affect other countries. It was looked upon as having the potential of great agricultural prosperity. It reminds one of the turn of phrase – Sudan is a country of the future, it was always a country of the future, and it always will be a country of the future. I was the political section chief. We would answer the mail. In essence, of course, most foreign policy initiatives – almost all of them – were under the ambassador. The bilateral dialogue with the head of government with the various ministers was very, very closely followed and spearheaded by the ambassador, which is as it should be. I was in charge mainly of looking at internal stability, cultivating disparate views — more outspoken personalities were beginning to emerge at the time — and also doing the day-to-day foreign affairs work that embassies do…. The other side of the story – the international aspects of this at the time, which helped obviously solidify our approach to Sudan — is that it was reamed with difficulties. Reamed may be too big a word. There was the very strong resistance in Ethiopia, especially the Eritrean resistance movement. The so-called Arab portion [in the North] is mainly Arab-oriented. They are of mixed descent and, as it came to be known to me over a period of time, they thought of themselves as being looked down upon by Arabs because they were Africans, (although so-called mainstream Africa – black Africans – tended to see them as Arabs). They were a mixture. While Arabic was the lingua franca of the north, and to some degree in the south, almost always as far as I can recall, North Sudanese were not raised initially on Arabic, but on a local dialect which I don’t believe there were a lot of Semitic features to. You had ethnic groups cross the north, but they all had a common bond of being so-called Arabs, of speaking Arabic in great degree, and of being Muslim, which set them off from the south. Although there’s a tendency to look upon the south as Christian to a degree, it was to a large extent animist and very definitely part of black Africa. There are several linguistic groups there – many of them mutually antagonistic. And then, geographically, topologically, the south had a distinct, decidedly different aspect. The north was dry. The north was quite arid, not unlike the Sahel, basically desert and rock. The south was in large degree a slough, the point where the White Nile river basin and adjoining rivers ran through a large flat plain and created a tremendous swamp. That’s the reason why it was so hard for European explorers to penetrate the source of the Nile from that direction, and with the very tip of it, southern Sudan, being very verdant, not unlike Uganda in some way – a very, very beautiful lush area; equatorial. Shortly before I got there, as I said, a colonel of some stature in the Sudanese military was so alienated by Nimeiry’s policies in the south that he basically deserted and began forming the SPLA. I think prior to that, the south was always permeated and penetrated by local gangs. Weapons were increasingly easy to obtain. Suddenly the SPLA became first among equals amongst these gangs and was in a position to capitalize on Nimeiry’s stumbles—most notably, the announcement of the beginning of implementing Islamic law in Sudan…Their version of it is not Sharia law. It was certainly a tremendous boon to the growth of the SPLA. 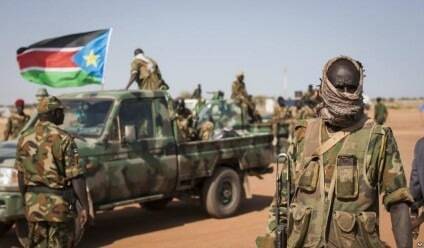 Within a very short time the SPLA or related gangs—with very, very quick ease—cut off two of Khartoum’s major initiatives in the south. There was an attempt to straighten the White Nile with a gigantic cutting wheel that was going to vastly increase the amount of water going up north, ultimately into Egypt, and bring about – in somewhat perhaps questionable forecasts – an agricultural revolution in the south. It was a gigantic wheel under contract of a French firm, but it was attacked. As I recall several people were killed. The Europeans were able to get out safely after a lot of close brushes, but the project was in effect dead. 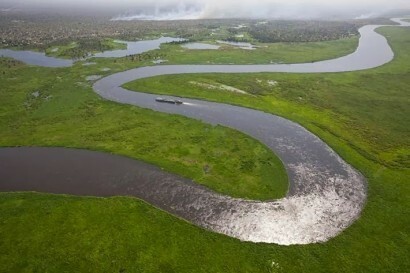 Farther north on the border between South and North Sudan on another river – again an area of the White Nile – Chevron was in beginning exploration mode for oil drilling in the area. It was a very sensitive issue since earlier attempts [were made] by the Khartoum government, i.e. Nimeiry, to take the area affected and redraw the map making it part of the north. They [Chevron] had a large ferry positioned on the river which was their base camp, and in the middle of the night a group of armed resistance leaders, or gang, got onto the boat, killed several of the expatriates there and basically shut down the operation. Very quickly two promising projects for the future were put on hold. Indefinitely in the South, more likely forever; and in the North, temporarily, which was to last two years. In large part, Nimeiry co-opted southerners in the ‘70s to become part of his regime and was oftentimes in position to use them to give his regime a sort of legitimacy throughout Sudan. By and large, by the time I got there in ’83, the vast majority of these co-opted southerners who were still within the government were equatorial—very few from the heartland of South Sudan, very few Dinka, Nuer, Shilluk, although they were significantly seen throughout the city. One of the things I did in cultivating the opposition, or in trying to talk with people holding disparate views, was to cultivate ties to ex-politicians, mostly southerners at the time. I found very attractive, very articulate people with a very broad view of what the problem was in Sudan. Most preeminent amongst them was a man named Abel Alier (seen right) who had been Sudan’s vice president at one time. He just had extremely good vision about the problems that Sudan was going to face. At the time it was more difficult to find northerners who were outspoken about Nimeiry with the ambassador. Ambassador Horan wanted very much to cultivate other political types who were in or just around the government, or who was in opposition to it. With his name I would set up meetings which he and I would go to, most notably with Hassan Turabi who at the time was not in government and was reasonably sharp and critical of Nimeiry…. 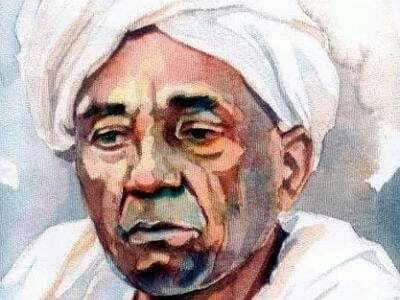 I did not have any dialogues with Gaafar Nimeiry, and you know our policy in Khartoum, in terms of its internal affairs, was set by Gaafar Nimeiry and no one else. His vice president, the deputy prime minister Omar al Tayib, had little influence, as far as I could tell, over how he managed internal affairs… I think there were some attempts to steer Nimeiry or to question him, to probe the wisdom of his policy, but he was hell bent. Also he was a survivor. He had gone through the revolutionary councils and, one by one, the other partners were weeded out. 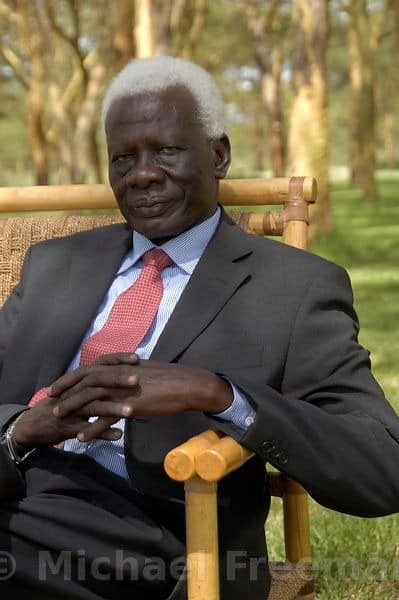 He had twisted and turned and shaped personalities within his government so that he was the one who knew how to handle things in Sudan. It was very difficult for anyone to convince him of anything regarding the wisdom of how he ran the internal politics of the country…. I think the embassy was interested primarily in assuring our continued relationship with Nimeiry because the consequences of his elimination were difficult to envision. At the same time it became increasingly apparent that Nimeiry was more and more erratic and losing touch with reality. Furthermore, this was being reflected by most Sudanese. That attitude was just very pervasive. You could see this in terms of looking at Nimeiry and his characteristics. His fascination with Islam persisted throughout the two years that I was there until he was toppled in May of ’85. He began to embrace a form of Sufism. 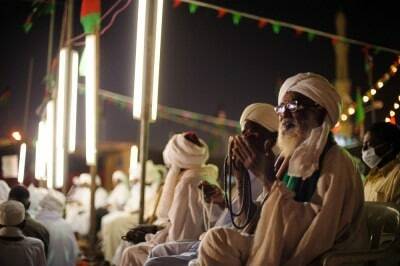 Sufism is very strong in Sudanese Islam and it began to invade and taint his policies. He elevated a number of so-called Sufi leaders of not great repute in local circles to become his palace advisors. They had little or no political imagination whatsoever. He instituted a new constitution for the country in which he calls himself – the term in Arabic is “Ameer El Mo’mineem” – the prince of the believers. It is a title more relevant to the 7th-century than it is to the modern world. In essence, despite his protestation that the south had nothing to worry about in terms of Islam, he began a step-by-step process of making them worry even more about what the position of the south would be under Islamic Sudan, and also making more people worried about his sanity. The other thing he did was his so-called implementation of Sharia law, which to him was Islamic punishments, most notably, the cutting off [of] hands for thievery. Shortly after I’d gotten there he’d outlawed alcohol, had a big ceremony throwing several hundred bottles of booze into the Nile River. And indeed it dried up. Then he began to study and ultimately implement the Islamic Sharia law. Once it was fully implemented it was taken on with a real passion. There is a major prison just on the outskirts of Khartoum, which I seem to recall was circular or it might have been square, in a plain area, and in the middle of that there’s a yard and they constructed a large platform and off the top of the platform was going to be the place that you would implement Sharia law. This came to be ultimately a Friday showplace, where anyone who had been caught and sentenced under Islamic court which he had set up, by Islamic judges that he had set up with a little training in Islam, where the hands would be severed. On Fridays you would have thousands of people gather around the prison to view the severing of hands. And it got to the point that the platform had to be raised higher so that the more people who came in on Fridays to watch could have the view. And at least on one or two occasions, if not more, every Friday as the hands would be severed, the severer or a functionary in that group of office would take the severed hand and parade it around the wall. This was an extreme great sport for people who came to watch on Friday. Another interesting part of this was the execution of Mahmoud Mohamed Taha, who was called an Islamic brother. He had been a thorn in Nimeiry’s side since even before Nimeiry took over in his coup. He’s always been an Islamic revolutionary who was interested in seeing more of the ecumenical aspects of Islam, looking at greater toleration, and over the course of years had developed a theology of Islam that was not mainstream. He was always a sharp critic. At the time he was 70 years old, there was a decision made that he had to be arrested, and he was, and charged with apostasy and convicted in one of these special courts in Khartoum. 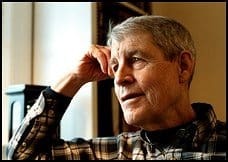 A 70-year-old man for his apostasy and his heresy was convicted and sentenced to death – that was death by crucifixion. 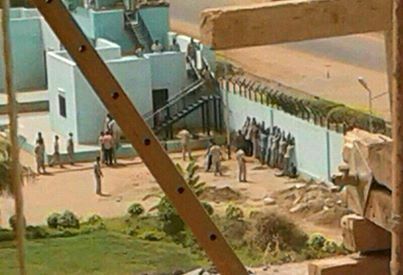 The saving grace under this Sudanese criminal process at the time is that they were not going to crucify Mohammad Taha, the 70-year-old man, at Kober Prison. What they did was they took him out and they hung him and after that they were supposed to hang him on a cross and let his body stay there for a period of time. The human rights situation in Sudan, specifically, was unimaginable. I had done human rights reports in Saudi Arabia and at the time just shortly after they were implemented I felt they were a waste and a bother and a nuisance, and put myself in a reasonably good position to defend the way the Saudis approached their version of human rights at the time. Ironically our long dialogue with Nimeiry culminated with his visit to Washington for a Reagan meeting just as he was losing power. In fact the day he fell he was on his way back from that Washington visit. Again, I think throughout this time there was pressure, on Nimeiry, in dealing with the South, and to some degree in terms of human rights. But we were always met with, “I know what I’m doing,” and “I’ve been around.” It seemed his emphasis on Islam was a pretext to cover his human rights violations so he would just move on to something else. And we did have a busy bilateral relationship with him in respect to what we would like to see with Egypt, to the general Arab agenda, to Chad, and to Eritrea-Ethiopia, and to Libya. 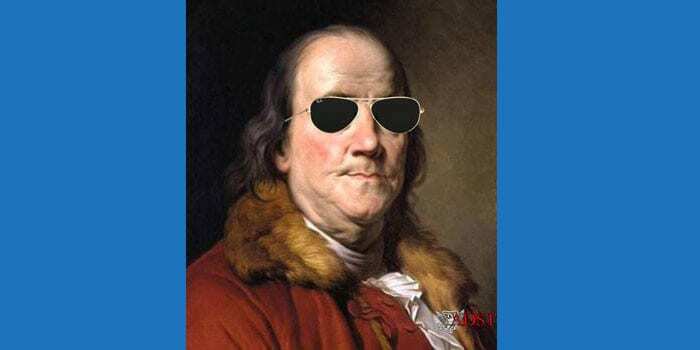 …In the sense of my contacts, the opposition, that’s what you first look for [the educated class]. You look for the educated southerner who is a lawyer. You look for the guys who spent time in Saudi Arabia or in Egypt and had been educated there, the politician who was a grantee three years previously in America. These are the people you find. Some of them are very educated, yet there was no sense of common purpose in toppling Nimeiry. The way he ultimately fell was through a combination of economic mistakes and riling up sectors in both labor and students at the same time, ultimately as he was just collapsing. It was very strange because the day that he left to go to America the ambassador [Horan] had already gone back, as all ambassadors will, for a presidential visit. I went with the chargé, David Shinn, to go to the airport to see Nimeiry off. I was going to stand in back and Nimeiry was going to go shake hands with all the ambassadors and with his ministers and leave. Well, the city had already started having problems. The students were in the streets, and there were labor problems. The airport is sufficiently close to town, not that far away. I’m standing near our car while all of the ambassadors line up and the ministers are out there, and Nimeiry drives up. In the background you can see puffs of smoke coming from the city where cars are burning in the streets. And they stand around and then Nimeiry comes up. He comes out in dark sunglasses with a turtleneck sweater on, goes and jokes with all of his ministers, and this smoke is coming up behind him, and then he finally gets on the plane and flies off – never to come back. It was just a very, very stark, unimaginable situation to me. Then we drove back into the city, which was slipping farther and farther into a ruinous situation. The telling event was when the electrical workers struck, consequently shutting off Khartoum’s sporadic electrical supply. When the judges announced that they, too, would join the electrical workers in a massive demonstration in the middle of town, immediately other groups joined the opposition, which was growing by the day, announcing that they, too, would join in the demonstration. This was to happen on a Friday. It was on a Wednesday, I believe, when it became obvious that this was going to occur. And Nimeiry’s vice president had already announced that he would shoot them all in the streets. There was a parallel between this strike situation and the situation in 1958 where the then-elected president was toppled – almost an exact replication. We sent a cable in saying that Nimeiry’s chances of containing his government looked very slim. The cable was received two hours before his meeting with [President Reagan]. It didn’t matter. I think my cable would not have affected anything. The situation had changed so dramatically when the massive amount of people went on strike and were determined to have the demonstration. When that all coalesced within three days before the event announced for Friday, the coalescence was so pervasive, we knew it was not going to be a typical crisis like those Nimeiry had weathered in the past. There’s been some speculation, I think, that had Nimeiry been there he might’ve been in a position to save himself – to save the regime – but he lost power because he wasn’t there, and his vice president had not been chosen because he was a leader. Nimeiry had basically weeded efficiency out of government, so there was really no one of sufficient skill to manage such a situation.